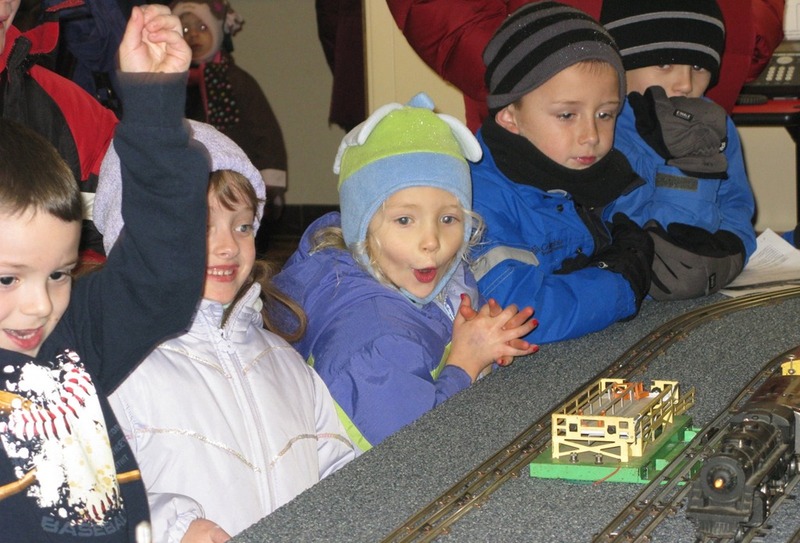 Who are the parents of the kids in this model railroad train display photo? Adrienne Falcon, Director of Academic Civic Engagement (ACE) at Carleton College, sent me a large print (left) of one of my photos that was part of the Frames of Engagement exhibition at the Weitz Center for Creativity open house last fall (blogged here). 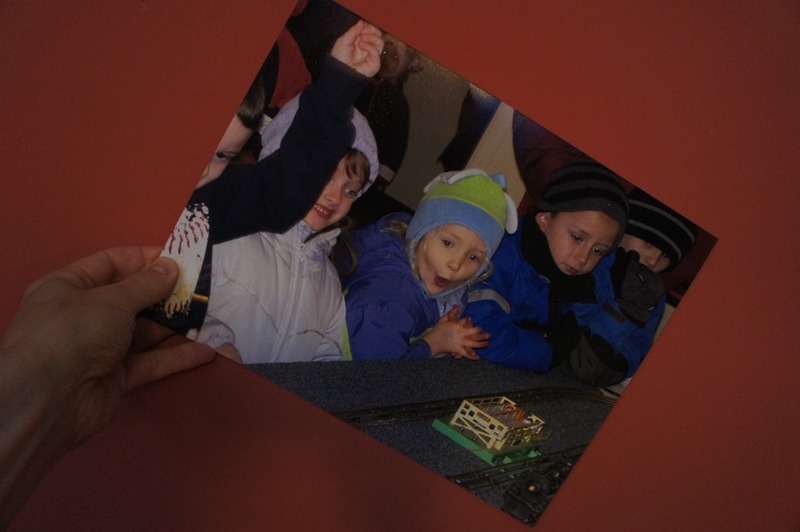 I’d like to give the print to the one of the families whose kids appear in the photo. 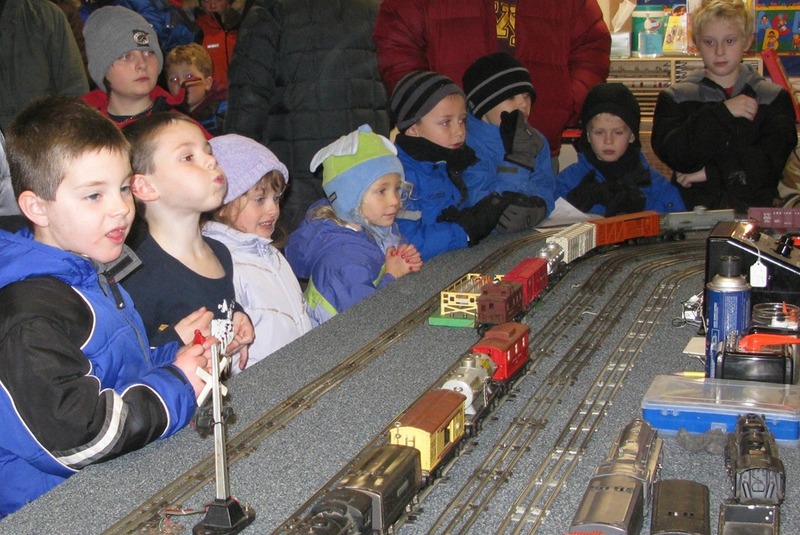 I took the photos of these kids (two more above) at the model railroad train display at the Northfield Library during the 2009 Winter Walk (album here). I believe the little boy in the dark blue shirt is Tommy Rice. Tommy lives across the street from us in Dundas with his parents, Rory & Carrie, and brother Charlie. Hope this helps!